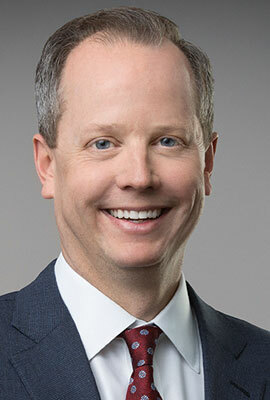 Jason Schugel was named chief risk officer for Ally Financial in the spring of 2018. He has overall responsibility for execution of Ally’s Independent risk management. He has responsibility for the enterprise risk management framework, establishment of risk management processes, an ensuring that Ally targets an appropriate balance between risk and return, mitigating unnecessary risk and protecting the company’s financial returns. Schugel was previously deputy chief risk officer for the company since 2017, leading various risk-management activities. Prior to that role, he was general auditor for Ally, responsible for the company's internal audit function as well as administrative oversight for Ally's loan review function. Schugel joined Ally in 2009, overseeing the company’s financial planning and analysis team, which is responsible for Ally’s financial performance reporting, enterprise-wide forecasting and planning. He also served as lead finance executive for Ally's global functions. Before joining Ally, he was vice president of financial planning and analysis, and investor relations at LendingTree, LLC. Prior to that, he worked in investment banking for Wachovia and began his career at First Plus Financial, specializing in mergers and acquisitions. He earned a bachelor’s degree in business administration from Southern Methodist University in Dallas and a master’s degree in business administration from the Babcock Graduate School of Management at Wake Forest University. Schugel is the Chairman of the board of the Allegro Foundation, an organization that is a champion for children with disabilities. He also volunteers regularly with Charlotte Rescue Mission organization, which helps people struggling with the disease of addiction achieve long-term sobriety, find employment and stable housing.